The transition from IPv4 to IPv6 –and how to manage it. The switch from IPv4 to IPv6 began on 6 June 2012, but surprisingly few organisations have done enough to prepare for the transition. The 32-bit IPv4 address space supports 4.3 billion addresses which are rapidly running out – eventually organisations will need to migrate to IPv6. This guide takes you through the steps you need to take and explains the potential impact on your business. These are also closely related to: "IPv6 - Bridging the Gap to Tomorrow"
The internet and telecoms industries have been promoting the migration to IPv6 for the past few years. IPv6-compliant addresses have been available since 1999, but 2011 has witnessed a strong push for the transition to IPv6 from the legacy IPv4 addressing scheme. Many industry players - telcos, ISPs, IP backbone providers, Web 2.0 players - have been pressuring enterprises to prepare for the move; the recent World IPv6 Day (8 June 2011) is one example, with suppliers positioning IPv6 as the ""next-generation internet"". But many enterprise customers seem to have little interest in making the transition. For enterprises, the first course of action for is to recognise that you will be moving to IPv6, even if you have IPv4 addresses available. Having many years of IPv4 addresses in inventory will not protect against having to move to IPv6 sooner than you think. Treat this as you would your disaster recovery plan - create an IPv6 transition plan as soon as possible. This is not just a non-critical, ""make busy"" project; it will become critical to your internal and external communication, especially if you hit a wall that either blocks your employees or your customers from doing business. The plan should have phases so that you can address the IPv6 transition requirement by business unit, services, or region. 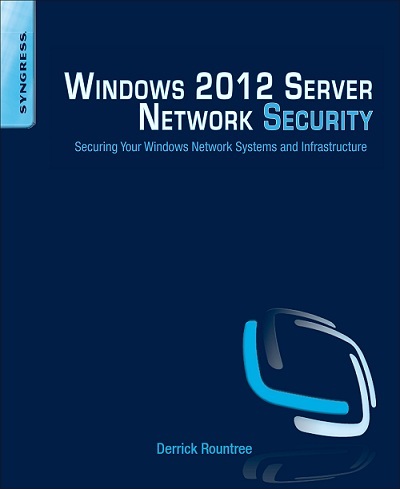 This book provides the most in-depth guide to deploying and maintaining a secure Windows network. The book drills down into all the new features of Windows 2012 and provides practical, hands-on methods for securing your Windows systems networks, including: secure remote access, network vulnerabilities and mitigations, Windows personal firewall, and network diagnostics and troubleshooting. This extract offers an introduction to Windows 8, Windows Server 2012, and IPv6. From basic computer security books to highly-advanced hacking eBooks, Syngress brings you high-quality, practical information to help you stay ahead of the competition. The question is not whether you will be attacked. It's when, by what, and how badly your company's reputation or finances will be damaged. In the world of cybersecurity the wrong time to consider defense is after the attack has occurred. In this white paper, learn about different attack methods and how to protect your company. Services used by hundreds of thousands of people to protect their identity on the web are vulnerable to leaks, according to this report researchers at Queen Mary University of London (QMUL) and others. International domain name homographs: Are you protected? Internationalized Domain Names (IDNs) are often abused by cybercriminals to conduct malicious activities, such as phishing or malware distribution. In this new research report, Farsight Security Global Internationalized Domain Name Homograph Report, examine the prevalence and distribution of IDN homographs across the Internet. Explore this report to learn about DNS protection technology adoption trends and find out how you can bolster your network's defense against pervasive threats like phishing attacks. Today, companies still struggle to adapt risk management strategies to face modern threats, but maturing their cybersecurity governance processes is a step in the right direction. In this e-guide, learn from multiple cybersecurity experts on how your organization can mature its cyber-risk program to decrease vulnerability. Analyst group Quocirca proposes a basic architecture to help organisations avoid the many pitfalls of embracing the internet of things (IoT). Before considering a move to the cloud, it’s important to ensure that your network is free of vulnerabilities that could put your data at risk. This expert resource offers tips on how to make sure your network is secure before extending the network infrastructure. View now to uncover key processes and tools to help detect configuration mistakes. During an investigation into potential cybercriminal activity, there's usually a domain or IP address that serves as your starting point. Find out how to use the world's largest real-time and historical DNS intelligence database to bring new levels of insight to your investigation. Every second your business waits for file uploads, downloads, and transfers is lost time, productivity and revenue. In this white paper, find out how you can better support high-capacity, scalable upload and download access on your network with Fiber Internet Access by Spectrum Enterprise. This article in our Royal Holloway Information Security series explains the security implications of unified communication. How you make a secure, trusted connection over the Internet is one of the key debates as the industry strives for de-perimeterised solutions that it can implement. This exclusive Computer Weekly/TechTarget research ,based on a survey of over 400 European IT professionals, reveals organisations’ investment plans for networking technology. Gartner estimates that there will be 20 billion connected devices by 2020. Access this resource to learn about the history of IoT botnets and how the rise of connected devices can bring upon the rise of dangerous bot attacks. The discovery of the Meltdown and Spectre microprocessor vulnerabilities, and several similar vulnerabilities in the months that followed, were probably the single most challenging developments for enterprise IT security teams in 2018. Here's a look back over Computer Weekly's top 10 IT Security stories of 2018. This issue examines how network managers can simplify their management tools gather from the network through the use of protocols like NetFlow and IPFIX and hardware like matrix switches. Learn how network managers are adopting new tools that give them better control over virtualized infrastructure, cloud environment and multi-vendor networks. Download this white paper to learn how you can build a scalable, robust, and agile data center network—without breaking the bank—by using fixed form factor switches (FFF) and disaggregated network operating systems in a leaf/spine Clos architecture. Download this white paper on web application security for a summary of current global perceptions on the state of application attacks, and insights on how to best identify and mitigate threats in the future. This extract from the book Windows Server 2012 Security from End to Edge and Beyond shows you how to plan your platform security requirements and gives you the critical questions to ask. Adopting containers is exciting for any developer, but it's important to take networking issues into consideration. Download this 72-page eBook to answer any questions throughout your container adoption journey. Few aspects of the internet are as crucial as the domain name system. A DNS failure could bring the internet to a halt. What approach are you taking to protect and secure DNS in your organization? Download this handbook for insights into effective DNS security approaches. In this week's Computer Weekly, we find out how HS2, the UK's planned high-speed railway, is developing its IT from scratch and having to predict the future. We hear from DevOps experts who try to bust some of the myths around continuous software delivery. And our latest buyer's guide analyses graph databases. Read the issue now. This paper will introduce you to a stable, enterprise-class plug-in—RSF-1—which provides assured high availability for ZFS clusters, even in the event of a failure. To see what the plug-in does, how to use it, and 7 functional models, continue reading below. This 11-page Computer Weekly buyer's guide looks at how organisations should approach context-aware security technologies and what business benefits they can deliver. Learn about Neustar and their approach to DNS and security. Tap into this resource to find out how you can maintain network performance while tightening security for key areas, like DDoS protection and identity assurance. In this white paper, learn about a storage platform that combines analytics and management expertise with a cloud-based delivery model, to provide better insights into storage environments. In this E-Guide from SearchNetworking.com, explore some of the issues associated with troubled OpenFlow switches, which vendors carry them, and details about a strategy that will not cause you the issues these other switches do. In this week's Computer Weekly, we look at how machine intelligence is becoming increasingly commoditised – and what it means for enterprise IT. After Three's takeover of O2 was blocked, we look at the future for the UK's mobile operators. And we find out about attempts to address some of the fundamental flaws of the internet. Read the issue now. In this Frost & Sullivan e-book, learn about the top trends shaping global SD-WAN adoption, the impact of digital transformation on enterprise networks, SD-WAN vendor selection criteria, and more. This guide presents a highly scalable software-defined storage system designed to meet the latency and IOPS requirements of high-performance computing and deep learning workloads. For an architectural overview, use case examples, and the cluster design, read on here. Enterprise cloud applications – can we trust them? This article in our Royal Holloway Security Series examines the more significant risks involved when an enterprise uses line-of-business applications hosted in the cloud. Jericho Forum aims to develop and influence information and communications technology(ICT) security standards. These will facilitate the secure interoperation of ICT to support collaboration and commerce over open networks, within and between organisations, based on a security architecture and design approach entitled de-perimeterisation. This report from CompTIA, based on original research, assesses the current trends in information security. Attackers seize on the lack of attention given to printer security relative to other devices and peripherals on enterprise networks. This IDC resource highlights the vulnerable nature of printers in enterprise networks and provides steps to reduce the risk they pose to the business. 802.11N has solidified and a new product generation has emerged, the time is right for enterprises to pursue broader WLAN deployment. Purchases should be driven by technical requirements that map business needs onto product capabilities. To help you complete that step, we have compiled a list of common enterprise WLAN requirements.